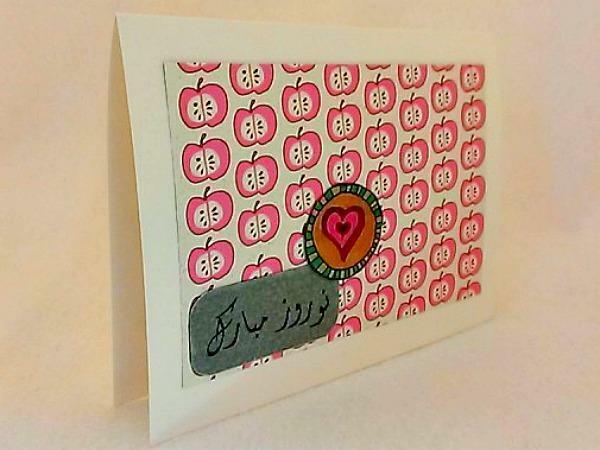 Nowrūz is March 21, 2014 and this card with apples, representing Earth in the haft sin, is the perfect way to greet it. 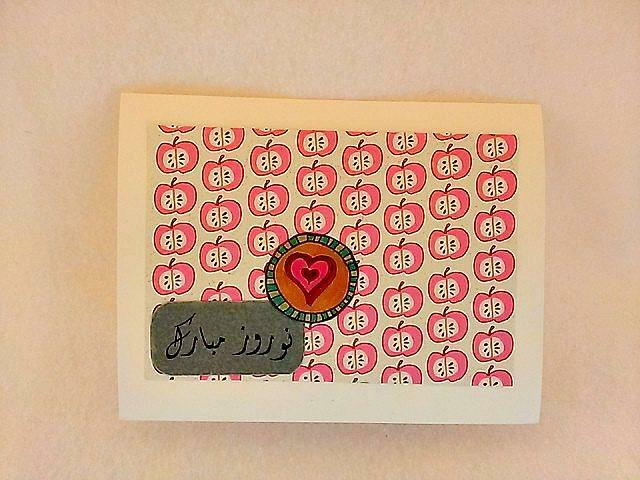 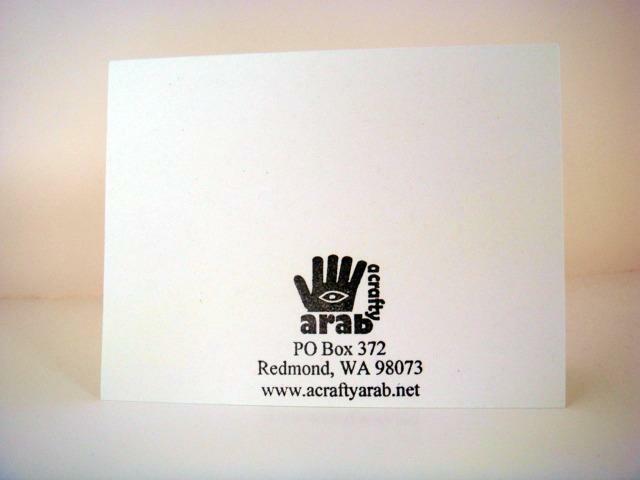 It also features a heart chipboard sticker that has been placed on the words Nowruz Mabrook on vellum attached to brown cardstock. 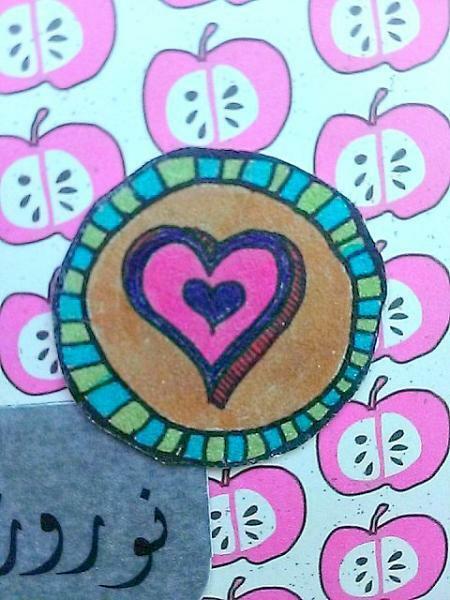 Apples are said to represent Earth in the Haft Sîn (Persian: هفت سین‎) or the seven 'S's is a major traditional table setting of Nowruz. 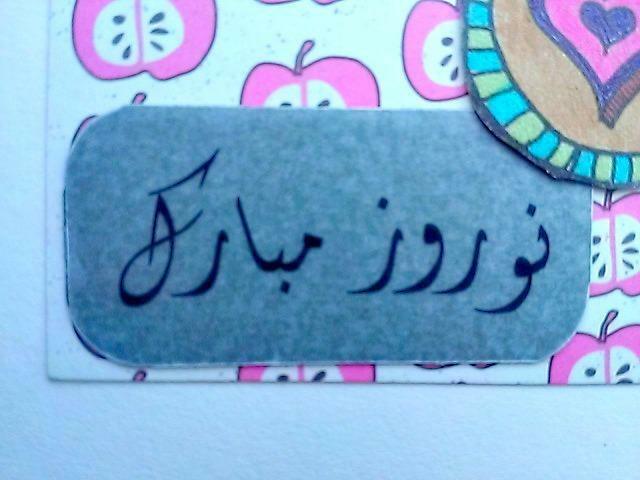 The haft sin table includes seven items starting with the letter 'S' or Sīn (س) in the Persian alphabet.